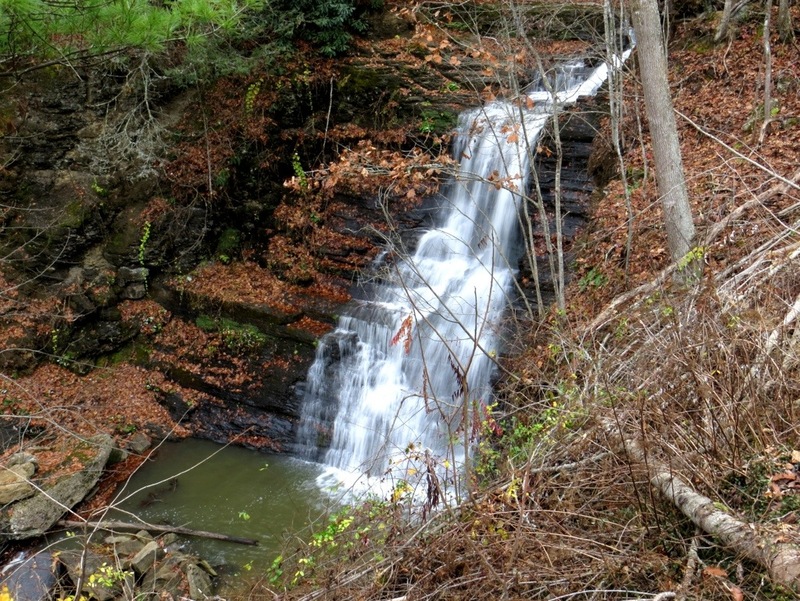 It is the first weekend in November, and time to see some new waterfalls. With all things considered, including a very cold air mass in place and lots of snow on the ground in places, it probably was not the best time to drive several hours north into West Virginia. 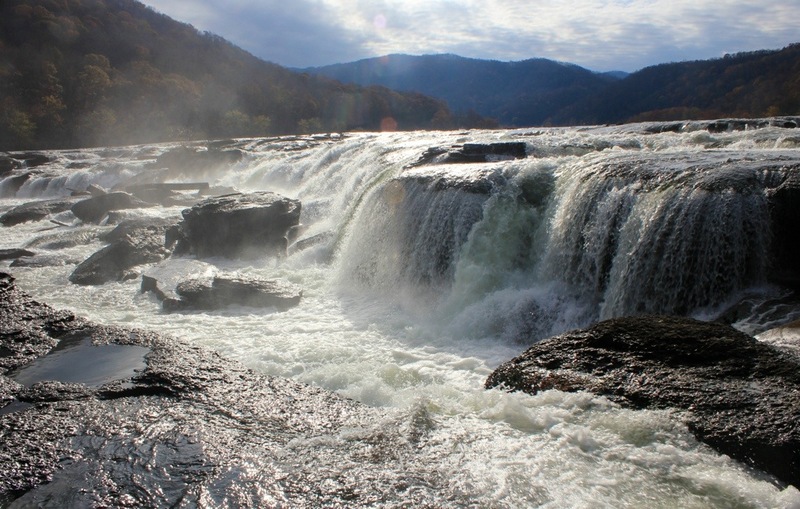 I had just seen several pictures of Sandstone Falls along the New River in West Virginia. After the photos and reading up on it, I was intrigued. 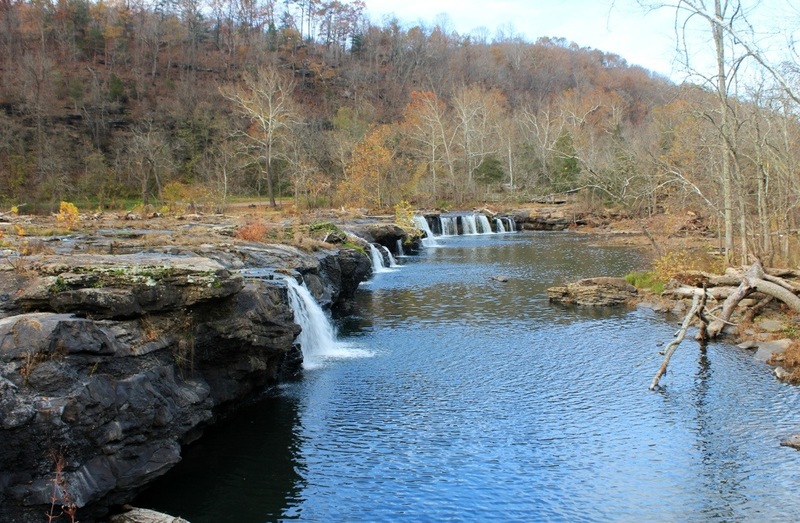 Only 10-25 foot high falls, but along the river spanning a width of nearly 1500 feet wide. That had potential to be something special, I had to go. The drive into West Virginia includes 2 super tunnels. One is 0.8 miles, and the other is 1.2 miles. There is no need to drive over these large mountains, just go through them. Turn those lights on, expect to lose all cell coverage and radio stations, and hope that you are not claustrophobic. It is pretty tight in there. 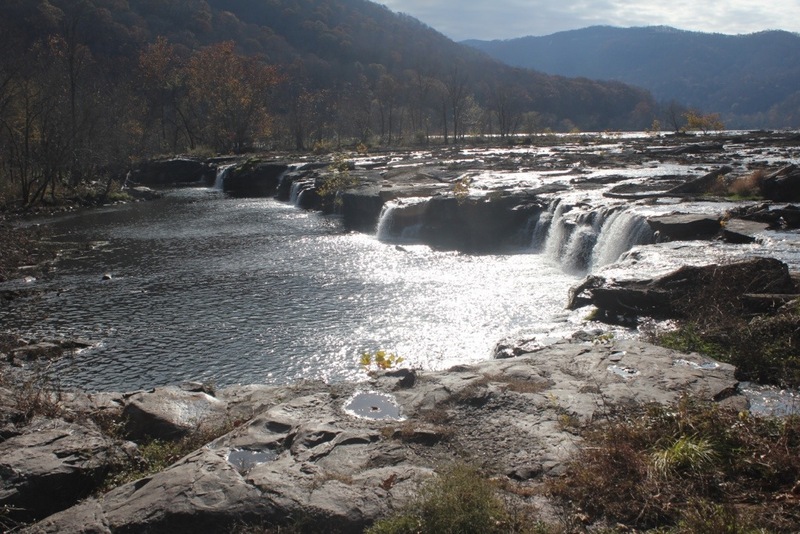 Once in WV, I made my way by interstate, to Sandstone Falls State Park along I-64. My GPS wanted me to take HWY 20, but with all the snow, I was wondering if this was a safe journey. At the park, I thought I was there, only to have the employee tell me, that I had to drive 10 miles south on hwy 20 to the next bridge and then 8 miles back north on the other side….geez. 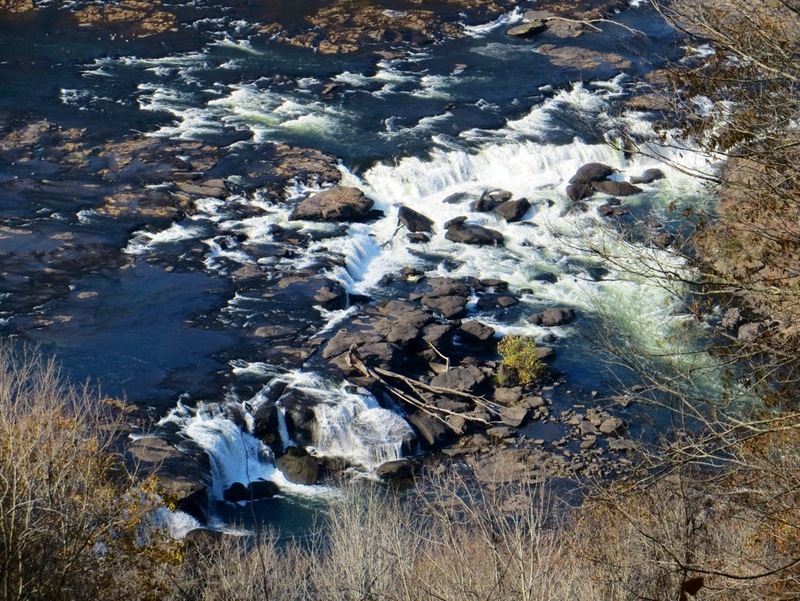 Initially I went straight up, and was able to pull off to the right to a beautiful view of Sandstone Falls way, way above it. I thought , “this is like a mini-Niagra”. Ok that is stretching it quite a bit, but it was quite an impressive display of water below. I also passed Brooks Island, which was a nice view from above, of a very large, long island. The road soon descends towards river level and you will find yourself in Hinton, a very interesting riverside town. It is very compact, and has a number of museums. You will get an interesting view of Hinton after driving through it, crossing the bridge and heading back north, up the river. The road on the other side is very narrow, but paved thankfully. 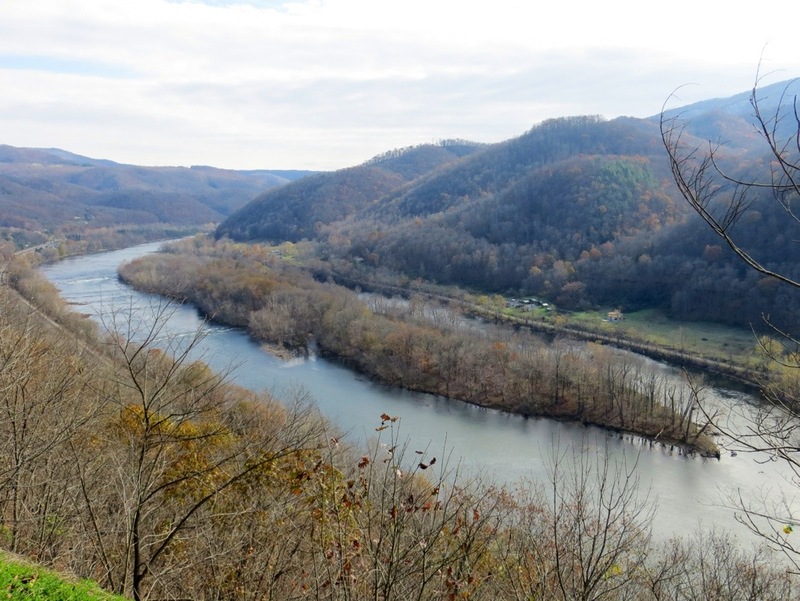 The 8 miles along it at a speed limit of 35 seem to take forever, but you really get an up close and personal view of the New River here. It is a nice drive. Once at the park, it is time to head out on the boardwalk. The river is very wide here, and immediately the boardwalk zig zags you out on to a very large island. 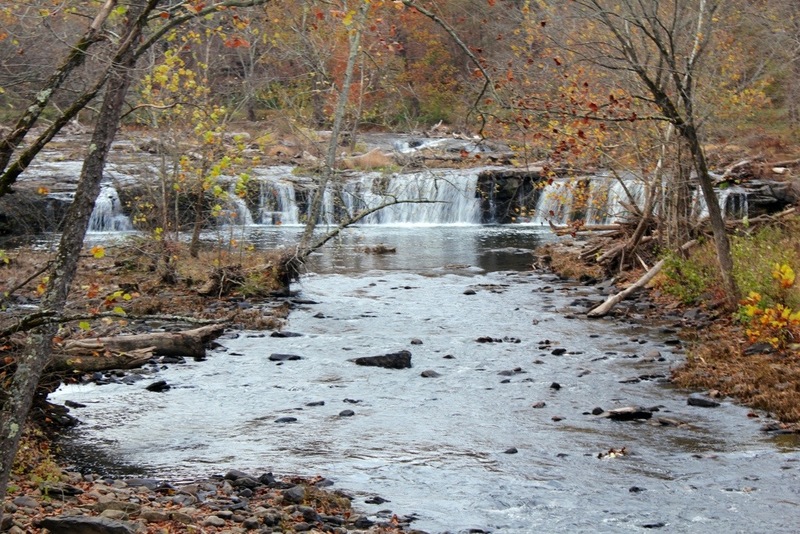 The first real view here is of Lower Sandstone Falls, a smaller but still very nice section of falls. 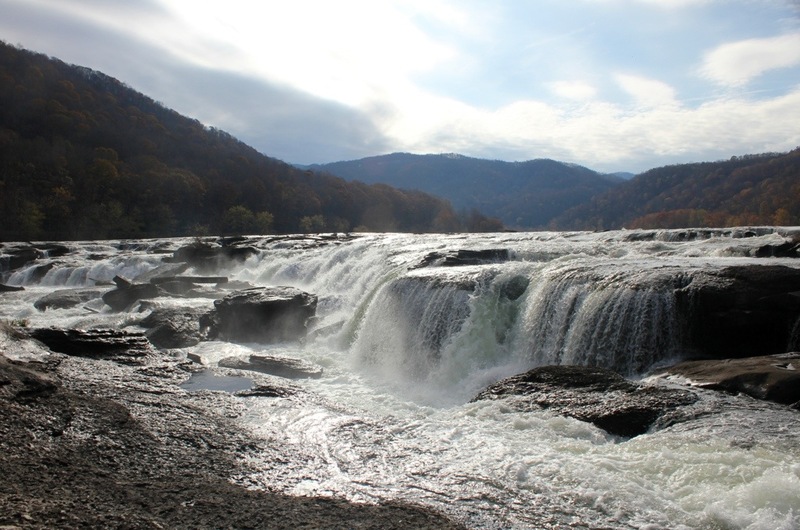 It is separated from the main falls by the very large island. After taking this in, it is time to continue on down the boardwalk. There is a trailhead for an island trail. I kept walking along the boardwalk, which heads deeper into the river. 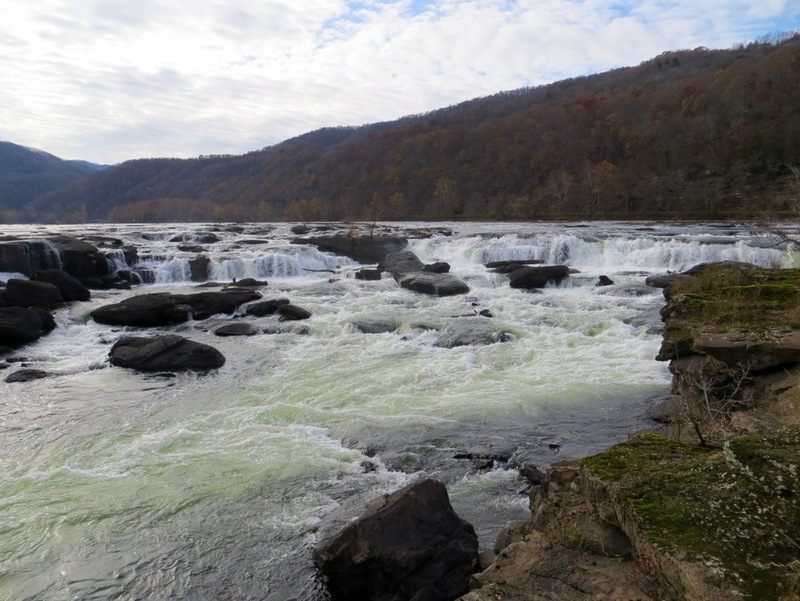 When it ends, there is a nice view along side the main river, however it is somewhat downstream from the falls. This was not satisfactory, as I had seen many up close photos of these falls. Backtracking my way up the boardwalk, I got off onto the island and made my way up towards the falls. This starts off as a walk in the woods, then there are numerous pools and small streams of water to maneuver. This was really just an extended session of minor rock hopping with a spot or two where you have to be creative. 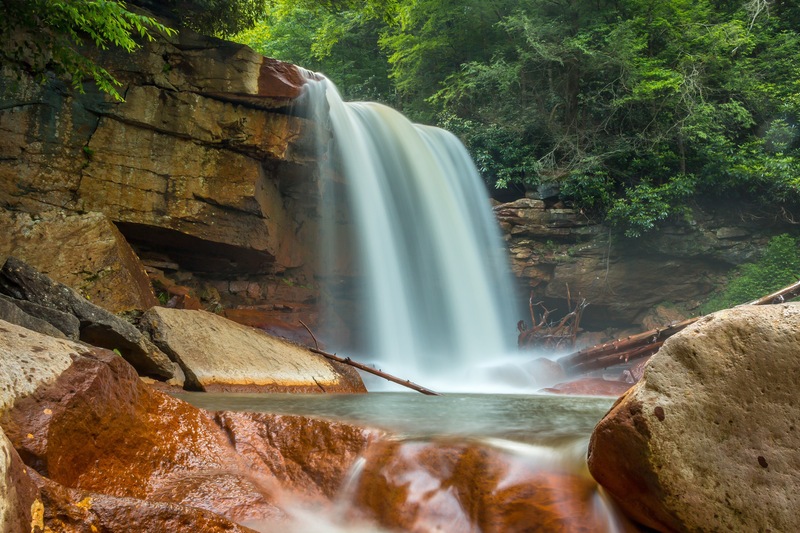 Once at the top of the island, it is a wide cliff that sits about 10 feet above the falls. The falls here are wide and powerful. There is so much water moving all around you. Trying to photograph this turned out to be my biggest challenge, as I just do not have the equipment or skills to capture it in its entirety. It was beautiful. Once done here, it was time to head back. Now convinced the roads were snow free everywhere, I chose to take Hwy 20 south back to I-77. 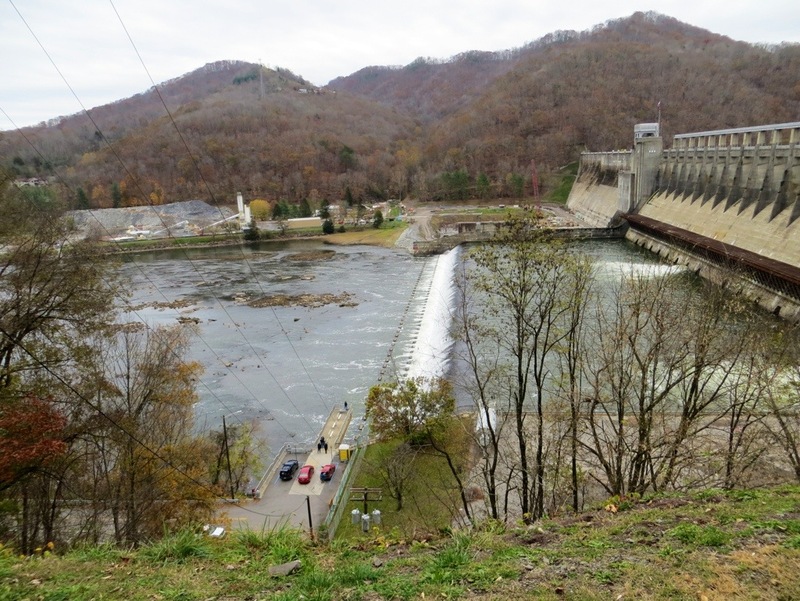 It followed the New River for quite a ways up to the Bluestone Lake and Dam. I had one last surprise waiting for me. 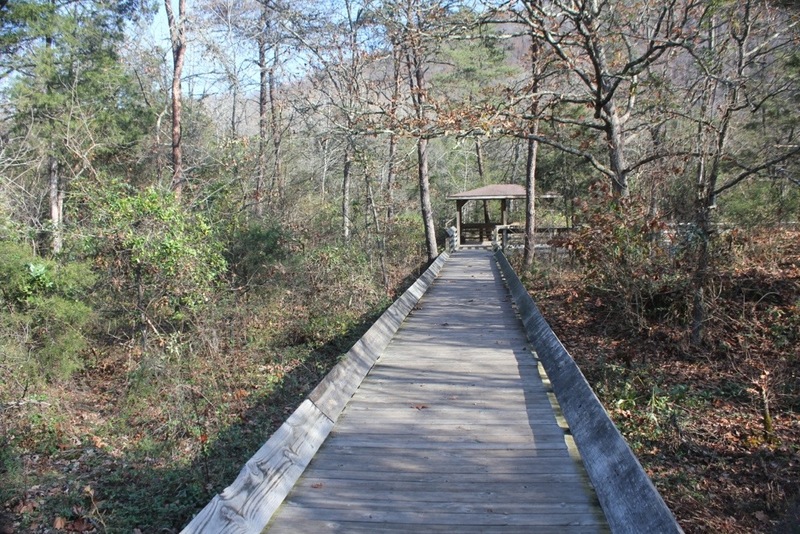 There are a number of state parks along this short, scenic route. 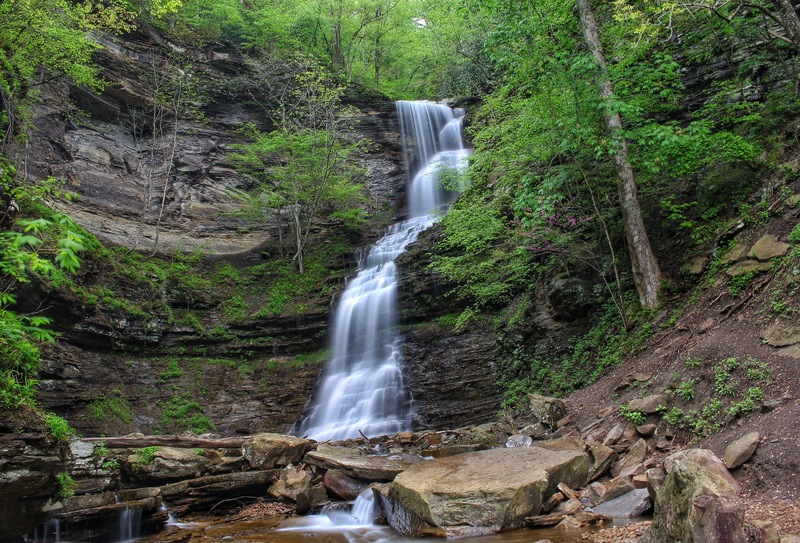 In the Pipestem community, not far from the state park, was a roadside waterfall named Pipestem Falls. It was pretty, and named after the ground cover that has hollow stems and was once used to make pipestems. 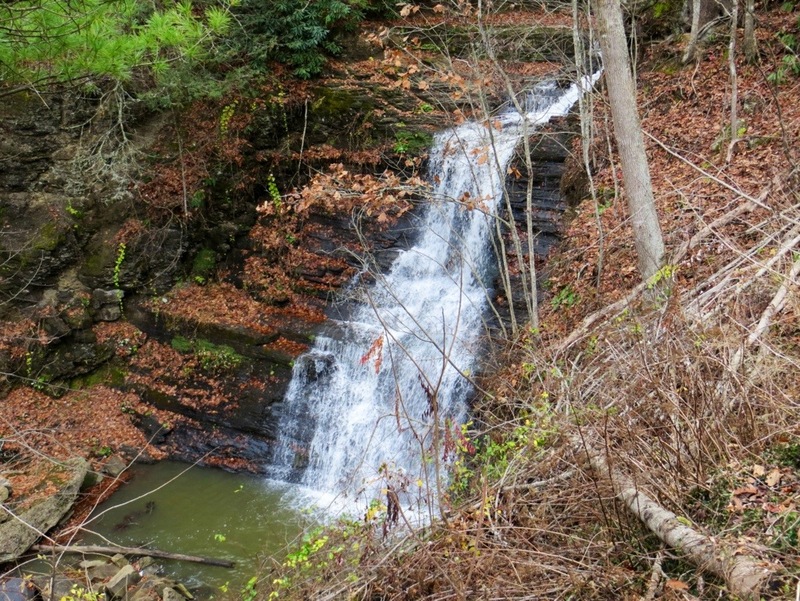 There was also an upper section to the falls that was pretty as well. 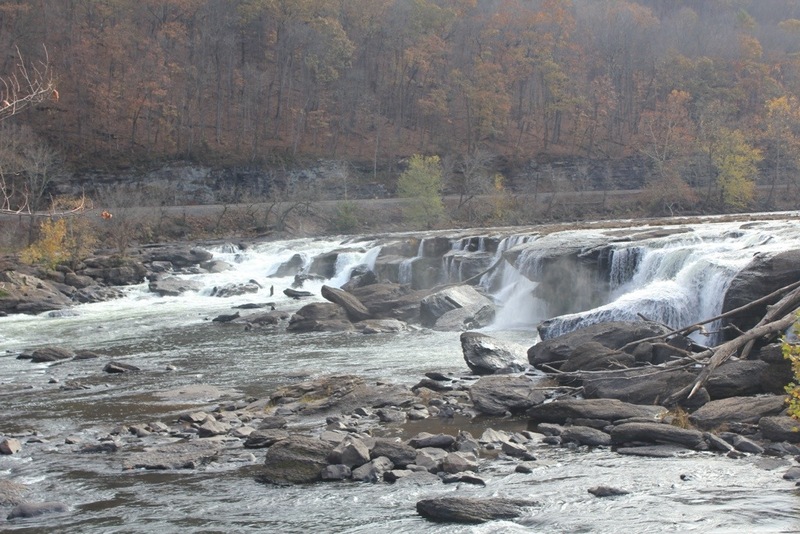 Looking back on Sandstone Falls, I can imagine in high water that the falls could drown out. I also am pretty sure that it would be much harder if not impossible to reach the views that I had. 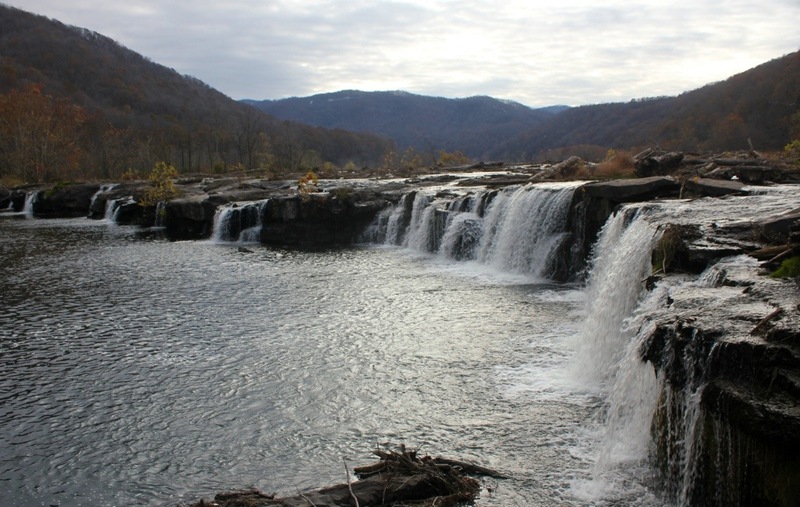 It was a great first waterfall trip to West Virginia, and in spring, I plan to go back.